It was a nice bit of symmetry that Saturday night’s show at Beekman Beer Garden came exactly four years to the day since we first saw The Hold Steady. That 2007 show at the 7 World Trade Center plaza was also an outdoor downtown free event. From the very outset and through our many live experiences with the band, we have always been struck by Craig Finn’s unbridled performance style — he is unrivaled in the stage expression of love for the band’s songs. Its an infectious approach, as Finn’s energy ignites the crowd. A Hold Steady show experienced from the front of the crowd is a joyous and celebratory communal event. On Saturday in the Beekman tent, we were fortunate that our recording location was far enough towards the stage to literally put us in the middle of the frenzied crowd and maximized the experience. The show itself was undoubtedly the best Hold Steady show we’ve been fortunate to catch. The band was tight and cracking and the 90-minute-plus set contained some neat rarities among a full setlist of the essentials. The closing epic “How a Resurrection Really Feels” featured the band taking it slow and savoring the positive energy of a peak performance. It was about as poignant as The Hold Steady can get, and we have chosen to stream that superb performance below. I recorded this set with the four microphone rig in an optimal location, inside of the front left of the soundboard cage about thirty feet from the main PA. The sound quality in the venue was remarkable, and we were also free from any outdoor elements. The result is an excellent recording. Enjoy! Our sincere thanks to brooklynvegan and the Hold Steady crew for their many courtesies on this night. 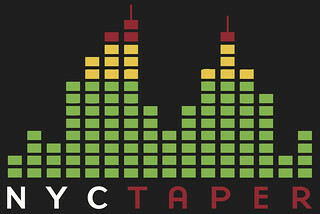 If you email nyctaper for access to this recording, we expect that you will PLEASE SUPPORT The Hold Steady, visit their website, and purchase their official releases from the links at their website [HERE]. Wow, great! Thanks a lot! awesome recording… and show. thanks!! !